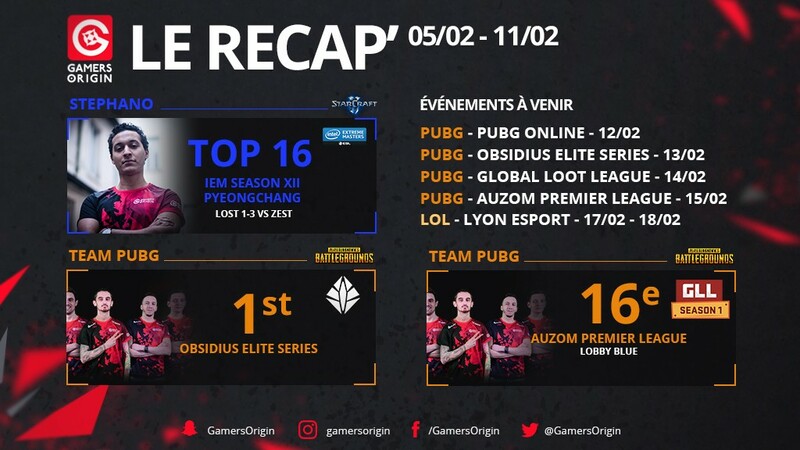 This is the first Weekly report on our new GamersOrigin website, a weekly news published every Monday with the team’s latest results, incoming tournaments and interviews with players. Two major events highlighted this week: Stephano competed in the IEM PyeongChang while our League of Legends roster prepared for Lyon Esport. 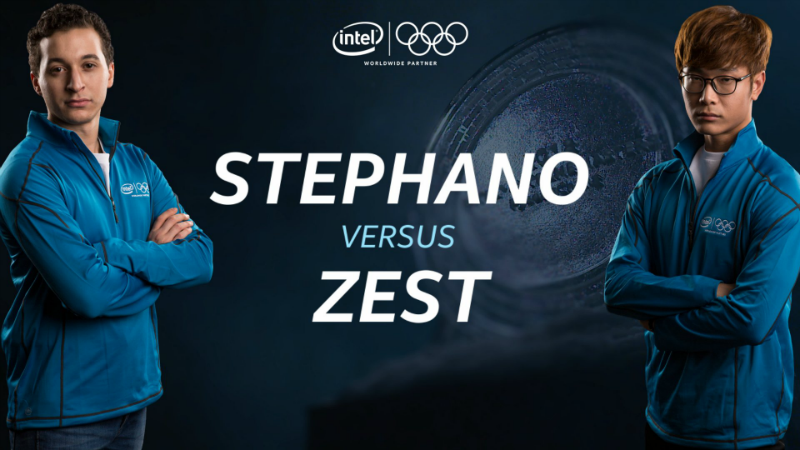 Ilyes “Stephano” Satouri took part in the IEM PyeongChang, the very first tournament held in association with the International Olympic Committee. Stephano, who was representing Tunisia, faced a strong opponent in Round of 16: Joo “Zest” Sung Wook. Despite his specific training for the Zerg versus Protoss matchup, Stephano lost 1-3. He left South-Korea with $3.000 and the satisfaction of being part of such an event. Our Hearthstone boys played the GamersOrigin Championship Series IV along with others top French and Belgian players. Both Un33d and Chinoize achieved a top 6. Chinoize lost twice against his Belgian comrade Maverick, who won the event. Lyon Esport is coming next week, and our League of Legends players will face high expectations as they are title-holder of the tournament and runner-up of the qualifier. We want to win this prestigious LAN for a second time in a row as this particular event truly shown our potential to the French scene. I feel really confident, I know the place and I have many fond memories. Even if we will be competing with a new roster this year, we expect to demonstrate that both spirit and skill are still here. GO PUBG squad took part in the Obsidius French league competition as every Tuesday. It went perfectly well with a clean top 1, which confirms that GamersOrigin is one of the best French team. Quelle fin de game pour @GamersOrigin qui sortent les @GameWardTV sans perdre un seul joueur ? However, the Auzom Premier League third round didn’t end as we expected, with a disappointing 16th place. The team knows the mistakes they have done and train hard to avoid repeating the same errors in the next lobbies. We will be back stronger #GOWIN. Next Next post: Get yourself prepared for Lyon Esport !